Urban Initiatives is thrilled to announce the renewal of our partnership with The Sky Ranch Foundation! In 2015, Sky Ranch Foundation was the very first supporter of Take the Lead – our 5th-8th grade leadership development program – funding the first formal implementation of the program. We are so grateful to have their continued support for the program! The Sky Ranch Foundation was founded over fifty years ago to support the operation of a residential retreat center that offered education, enrichment, and support services to troubled youth from around the country. Today, they support nonprofit organizations committed to supporting at-risk youth across the country in a number of different capacities. 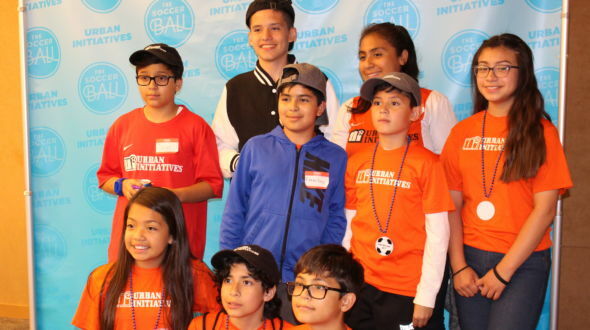 The Sky Ranch Foundation supports Urban Initiative’s Take the Lead program which empowers youth in 5th-8th grade from underserved communities across Chicago to develop as leaders in their communities and increase their chances for future academic, social, and personal success. Additionally, the program provides conflict resolution curriculum, intended to help students practice emotional control and solve conflicts nonviolently. The support received from The Sky Ranch Foundation allows us to continue to expose our participants to new places, people, and experiences across the Chicago area, in the hopes of encouraging our Take the Lead participants to set ambitious goals for their future and develop the skill sets needed to achieve. Urban Initiatives is so pleased to be partnering with The Sky Ranch Foundation for a third year. This partnership is allowing UI to build and grow the Take the Lead program, and we are so grateful for their support.